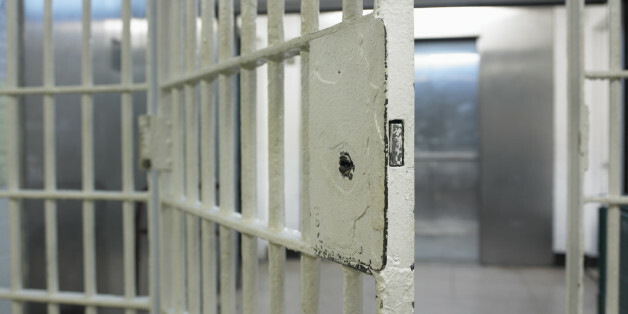 The U.S. Department of Justice has designated April 24-30 as National Reentry Week. Each year, more than 600,000 individuals return to our neighborhoods after serving time in federal and state prisons, and another 11.4 million individuals cycle through local jails. What is not widely known is that public defenders can and do play a critical role in helping people transitioning back to the community, when provided the opportunity and funding to do so. While the Second Chance Act was passed almost twenty years ago, policymakers recognized that to be successful, formerly incarcerated individuals needed to be connected with employment and job training, and educational opportunities, as well as housing and other necessities of life. What the past two decades have shown, however, is that these services are not enough. While there are laws and policies preventing the blanket use of criminal records to deny housing or a job, enforcing them can be a challenge. Many employers don't hire people with criminal records. Landlords may refuse to rent to formerly incarcerated people, and families who take in a loved one returning from prison may find themselves evicted. And while we know that getting a college degree increases your lifetime earnings, schools are allowed to reject applicants based on even a misdemeanor conviction. That people are not being given a true second chance has led a growing number of public defenders to become involved in reentry. While best known for protecting the constitutional right to an attorney for people accused of crime, public defenders know that the need for legal services doesn't end with a dismissal, verdict or plea. Supporting successful reentry serves public defense systems by reducing recidivism, and serves communities by restoring citizens to productivity. In public defender programs throughout the country, advocates provide returning citizens an enormous range of reentry services. Defenders may help people understand whether their record is eligible for sealing or expungement, and if so, assist them in the process. Defenders can help someone who believes they were wrongly denied a job to file a complaint. The may also be able to address a range of other unmet civil legal needs and ensure the restoration of rights (including education, access to housing, asset reclamation, employment licensing, restoration of medical benefits and many others) that make it possible to successfully reenter the community. Every successful reentry experience means increased public safety, reduced use of other government services like homeless shelters, and more reunited families and healthier neighborhoods. For this reason, some offices, like the Public Defender Service for the District of Columbia, have begun providing non-legal services as well, such as publishing a guidebook to reentry resources and organizing reentry fairs where returning citizens can not only talk to someone about their legal issues but connect with housing providers, employers, and other charitable and government agencies that can help them be successful. The Metropolitan Public Defender in Portland, Oregon worked with the Mercy Corps Reentry Center to create a "pre-entry" checklist that aims to prevent some of the hardships of reentry with a much smaller investment of time prior to incarceration. They also have an innovative partnership with the housing authority to hold community legal clinics for folks at public and low-income housing, focused on mitigating the impact of the justice system. Unfortunately, despite increased acknowledgement of the value of defender-supported reentry programs, many public defender offices do not have the mandate or the funding to provide reentry services. This is short-sighted. Laws and policies reducing the barriers to successful reentry are meaningless without the resources to enforce them. And by reducing re-offending, public defenders are able to reduce the need for their own services at the front end. The way that we are thinking about our criminal justice system is changing in many ways. Our ideas about the role of public defenders needs to evolve as well. Protecting a person's legal rights at all stages of the justice system, including when that person has paid their debt to society, should be a priority. We all stand to gain by providing not just social but legal support to returning citizens. Ernie Lewis is the Executive Director of the National Association for Public Defense. He can be reached at ernie.lewis@gmail.com, 502-545-3142. Alex Bassos is Director of Training and Outreach, Metropolitan Public Defender, Portland, Oregon. He can be reached at abassos@mpdlaw.com, 503-709-4319.